The new fall TV season is here, and few new TV shows have had as much preseason hype as CBS’ Scorpion. Even CBS’ Big Brother basically devoted an episode this summer to promoting the show, according to this Inquisitr article. Unfortunately, it failed to live up to that hype, although critics did find some things they liked about it. The premise of Scorpion is this: a team of brilliant scientists, led by “one of the five smartest people in the world,” Walter O’Brien, are assembled and tasked with solving huge problems that only a brilliant team of cunning minds can solve. The first episode introduces us to the Scorpion team’s leader, who, as an adolescent, runs afoul of the government (he was a hacker known as “Scorpion”). Cut to a few years later, and Walter is called upon to prevent a catastrophe at LAX. In the interest of preventing spoilers, no more will be said about the plot. 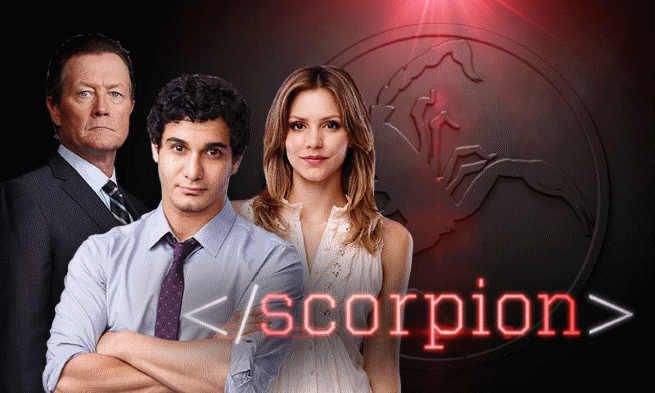 Hitfix TV critic Alan Sepinwall was put off by Scorpion‘s rather contrived plot. But despite the plot’s shortcomings, Sepinwall did get a kick out of the action sequences, even though they were campy and ridiculous. Meanwhile, over at Entertainment Weekly, TV critic Jonathon Dornbush took exception to Scorpion‘s ham-handed efforts to make the cast of geniuses as socially awkward as possible, describing the show as an unfunny The Big Bang Theory. Like his colleague Alan Sepinwall, Dornbush also praised Scorpion‘s campy, but thrilling, action sequences. The Hollywood Reporter TV critic Tim Goodman says that the true story of the actual Scorpion team is far more interesting than any TV show could do justice to (check out their website, if you’re interested). Nevertheless, he found the pilot to be entertaining if not a little hard to take at times. Did you give Scorpion a try? Let us know what you thought about it below.